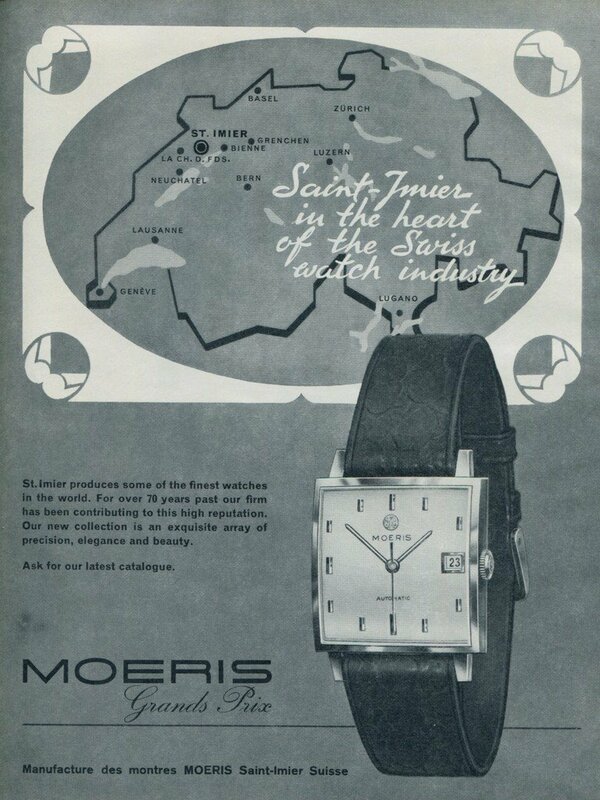 Original full-page Swiss magazine advertisement from the year 1964 for Moeris Watch Company, Saint-Imier, Suisse (St.-Imier, Switzerland). The advertisement was carefully removed from a Swiss magazine. 1956 Lacar Lavable Company Vintage 1956 Swiss Ad Suisse Advert Horlogerie Max Gimmel S.A.